It's so close to Christmas! I've had so much fun playing with this adorable game from Everyday Cute. 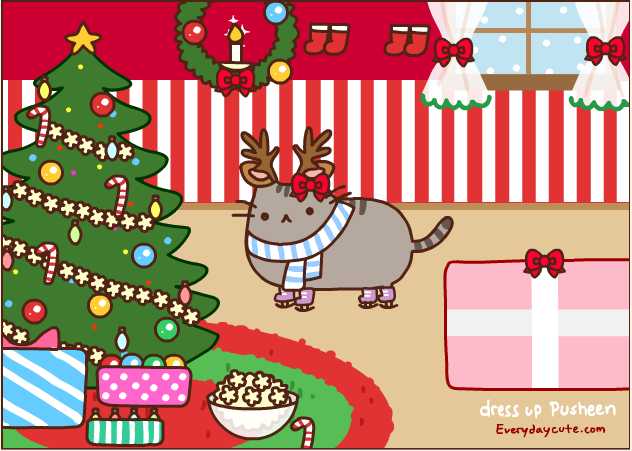 It's dress-up Pusheen the Cat! Here's one of the ways that I decorated Pusheen and her cute little world. make your own dressed-up Pusheen here. You can decorate her Christmas tree, too! Have a very Merry Christmas and give your Mom and brother hugs from me.